I will not be defeated in my projects or hopes because of rivalry. 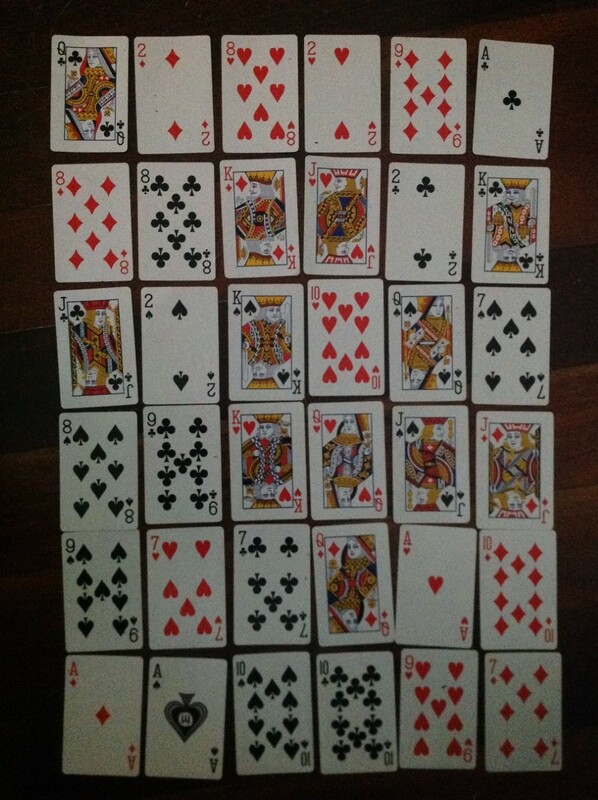 The King of Hearts indicates that there will be a satisfactory solution to the matter. I can expect sincere friends to come to my rescue. Through their assistance I will not suffer the ill effects of a treacherous act. The Nine of Clubs indicates I will receive a valuable gift. I will receive a beautiful and unexpected present. The Queen of Hearts has no special meaning. I will suffer serious problems in my work because of the ill will and deceit of others. The King of Spades has no special meaning. I can expect a good change in my circumstances which will come about through the goodness of friends. The Seven of Clubs indicates that the goodness will come from a female. I will find that the affection I have for someone will not be reciprocated or it will be exposed in an unpleasant manner. The Two of Spades has no special meaning. I may look forward to outstanding success. The Seven of Hearts indicate that I will be supported by others in my undertakings. I may expect a happy union with a proper mate. The Ten of Hearts indicates marital bliss. I will receive news regarding the death of an enemy. The Queen of Diamonds has no special meaning. As a Heart card proceeds it means that in removing the negativity it will bring in blessings. I can count on trustworthy friends to help me find the answer to my question or move my project forward. The Queen of Clubs has no special meaning. I will encounter jealousy which tends to destroy the satisfaction of my desire. The Two of Diamonds indicates that I will know where the jealousy comes from. I will attain total success in my project. The Eight of Hearts indicates that total success will comes from an invitation. I may count on the fact that my hopes will be realized. The Two of Hearts confirms that I will be in a prosperous condition. I will not have much luck in being able to see the project successfully concluded. There will be monetary losses in connection with it. The Nine of Diamonds followed by a Club card indicates that I will hear good news in working around it. I will realize partial gratification after some delay. The Ace of Clubs indicates that my life and affairs are well organised. My hopes and wishes are realistic. By using energy and perseverance I will be able to see them come true, the Ace of Clubs is an omen of success in my career. No matter what my career is, this card assures me of loyal and helpful friends throughout my lifetime. Many benefits are bound to come my way. I will find that the injustice against me will not be completely eradicated however the good reputation I enjoy will be restored. The Eight of Diamonds has no special significance. I may be sure that the people on whom I rely in business are true friends. A spirit of cooperation will prevail and bring good results. The Eight of Clubs confirms that these people are true friends. I will discover that even though others fail to appreciate my efforts and never quite give me due credit, they cannot harm my good name. 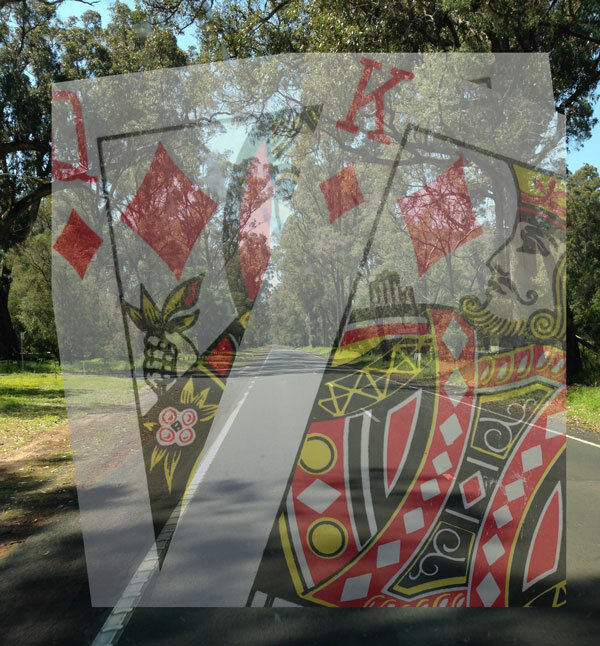 The King of Diamonds indicates that the other is a business rival. I will lose a benefactor, friend or associate. The Jack of Hearts indicates that the friend will be a happy-go lucky young man who has a pleasant, cheerful disposition but who does not possess deep emotions or lofty ambitions. I will have to face some trouble with a friend. The Two of Clubs indicates that this disagreement will be with a trustworthy friend. I will find that improvement will take time and that some uncertainty will be attached to it. Steady application of efforts is essential and cherished friends must be called upon for assistance. The King of Clubs indicates that a man is the person I should look too. I can expect good luck and prosperity from material sources. The Jack of Clubs has no significant meaning. I must be prepared for afflictions which will be brought about by others deceitfulness and dishonesty. The Queen of Spades indicates that the afflictions will come from a woman who is unsociable and jealous. I will not derive much joy from a relationship because it will tend to be artificial and transient. I might as well forget it and turn my thoughts elsewhere. The Seven of Spades indicates that I will be heartbroken about it. I will not have the slightest chance of winning an estate for rivals will be fraudulent and deceitful. The Eight of Spades indicates that the situation will bring much opposition. I will discover that my loved one or friend is fickle, untrue, vicious and spiteful. The person is concentrating on his or her own advantage, pleasure and well-being without regard to me. The Jack of Spades indicates it will be a crude man. I must be prepared to overcome problems, malice and envious rivals. Once this is done I will obtain advancement. The Jack of Diamonds has no special significance. I will deserve the aid or favour I seek but it will be denied because others are envious and treacherous. The Nine of Spades indicates that the assistance will bring discord or money losses. I can be sure that the aid I give others will meet with sincere thanks. My efforts will not be wasted. The Ace of Hearts has no special significance. I will find that envy causes unpleasant notoriety and affects me in a roundabout way. The Ten od Diamonds has no special significance. I will benefit in some way in spite of the envy and ambition of false friends. The Ace of Diamonds indicates that I will read about the ambitions from these false friends from a letter with a proposal in it. I will not receive the money I rightly deserve because unscrupulous individuals will cheat me out of it. The Ace of Spades indicates bad luck on my part but if I apply arduous effort and steady application, I will succeed in getting it back. I will lose a close friend or a sum of money because of an unconcerned attitude on my part. The Ten of Spades suggests that I have suffered some grief in the past. I will be successful in receiving favours from influential friends. The Ten of Clubs indicates that it will be because of good luck. I can be sure that my highest aims will be attained soon. The Nine of Hearts indicates my ambition s and goals will be achieved. I will suffer a critical illness but I will recover. The Seven of Diamonds has no special significance.